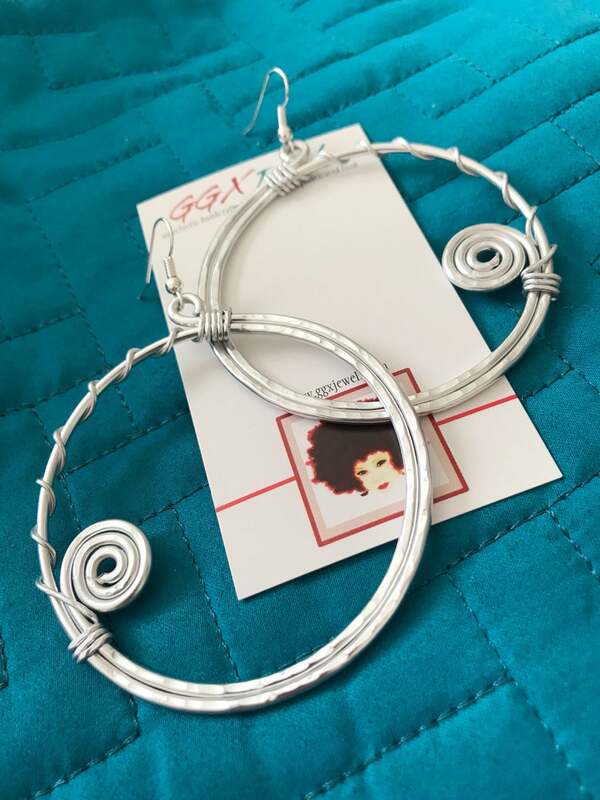 This listing is for one pair of hammered aluminum HOOP earrings in the abstract style as shown. 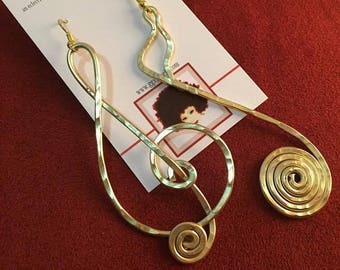 Standard size is approx 2-2.5" (seen in silver, copper, gold, black). Petite size is approx 1.5" (seen in purple). Fabulous as usual. GGX always goes above and beyond. Im a permanent customer!